How Far is Earthen Stride? Earthen Stride is one such project which is located in Nere Dattawadi village, Tal. Mulshi, near Hinjewadi IT/BT park. The development around the location has made it a lucrative destination for future home buyers, investors and second home buyers. Extensively, stretched in a 9 acres land it holds the perspective of a beautiful home or for a short term investment which gives you a higher return. The exclusive internal developments are featured to enhance the project with security and unprecedented appreciation to make your decision of buying a piece of earth. As you know the developments which are going underway with PMRDA (Pune Metropolitan Region Development Authority) has immense projection of major developments like the present road widening to 120 feet sanctioned by the government, which leads towards Somatane Phata and Urse exit at the Mumbai Express Highway, sanitation, transportation, electrification, water supply, etc. are the major benefits provided under PMRDA. It has mainly taken up the development of 15 townships, in the view of helping fringe villages to develop in the near future. This enhances our project as it lies amidst 4 townships (Blue Ridge, Megapolis, Life Republic, Xrbia) and the 5th upcoming (Evita). Also, the recent announcement of the villages being considered under the PCMC limits has a unique indictment of the location falling under the residential zone, which gives an immense potential to invest. Our new project Earthen Stride is just 700 mtrs away from the main road, comprising of a minimum plot size of 2152 sqft onwards. 25 ft. Cement Concrete Main Internal Road. Rest 20Ft. Internal Tar Roads. 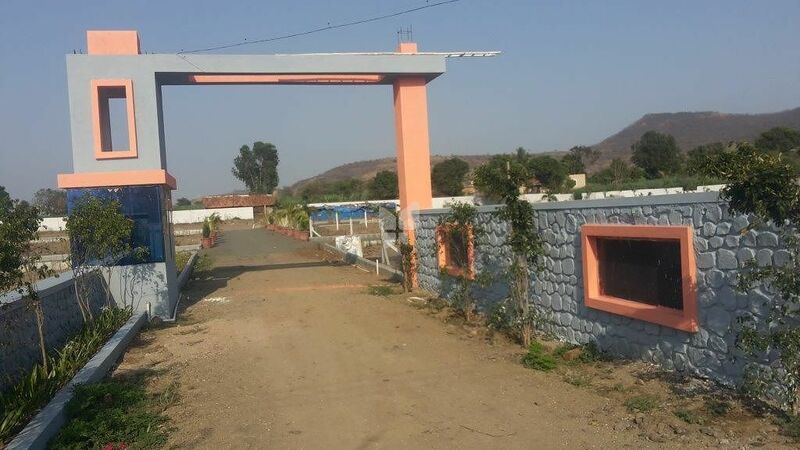 Individual Plot Cement Block Demarcation with individual gated community. Road side plantation and individual plot plantation. 24*7 Security with standard security cabin. Amenity area for garden and Ganesh temple. Water connection for individual plot. Two years free Maintenance Facility. Resale Guarantee after 1 year without any hidden charges. Alard College of Pharmacy , Engineering, Public School, Management. • Close to Kolte Patils life republic big township & Xrbia Township. • 5 Minuets from Hinjewadi IT Park. • 5 Minuets from Express Highway. • All educational institutes and international school is the vicinity.